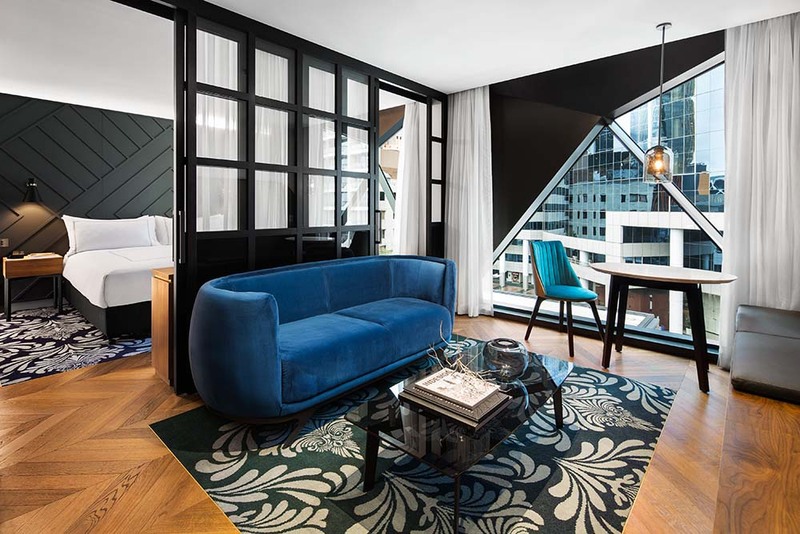 Discover the perfect weekend bolthole at Sydney’s sophisticated cool West Hotel, Australia’s first Curio Collection by Hilton. 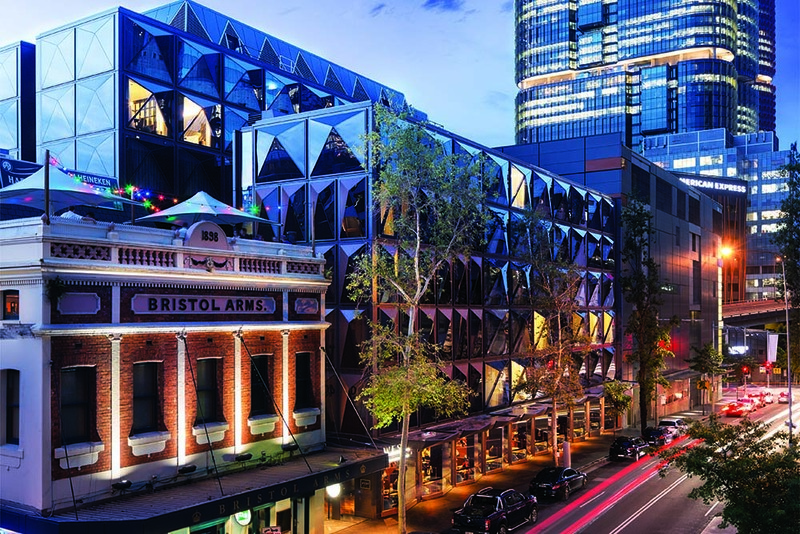 West Hotel is positioned on the western side of Sydney’s CBD beside iconic Darling Harbour, lively King Street Wharf, and up-and-coming cultural hub Barangaroo, and is an invigorating walk to the Opera House, the Rocks and the Harbour Bridge. Barangaroo is a fabulous part of Sydney to explore, with culturally significant attractions and many waterfront bars, restaurants and high-end boutiques to be found. Its wharf hosts ferries that go to Manly, Cockatoo Island and other must-see locales. The eye-catching geometric façade sets the tone for the stylish spaces inside. It is made out of 333 individual panels of smoked glass, and is the first of its kind in Australia. A custom sculptural lighting piece in the lobby doubles as a gold cloud-like installation, while the hand-painted wall filled with native waratahs behind reception (not to mention the engaged and knowledgeable team) tell the story of the hotel. Botanically carpeted hallways are a guide to each designer room, which include integrated Bluetooth speakers and Google Chromecast. Bespoke detailing includes a sweet ‘bird’ light, brass accents, and bathrooms with natural stone fixtures. Suites offer an elevated level of luxury with separate lounge area, marble bathroom with large tub and walk-in shower, honey-toned parquetry flooring, custom woven inlay carpets and plush furnishings in shades of soothing green and blue. 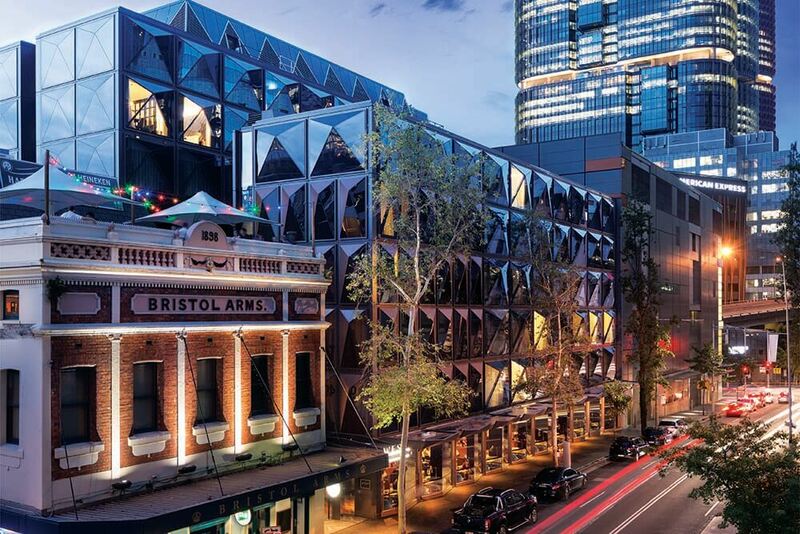 The hotel’s highlight must be the lush, rejuvenating ‘jungle’ atrium, which many rooms face – the rest overlook Sussex Street or toward Barangaroo. The atrium is a gorgeous respite from the busy city and the perfect place to take a coffee or aperitif from the bar. Solander Dining and Bar is West Hotel’s signature dining venue, and is named after first fleet naturalist Daniel Solander, who was integral to the early documentation and collection of Australian plants. 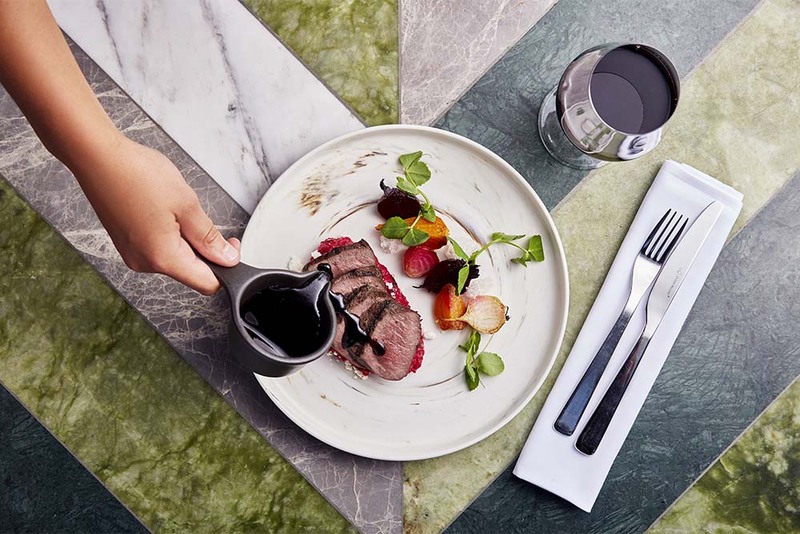 It offers modern Australian fare, embracing the very best regional and seasonal produce that NSW has to offer. Solander’s experienced bartenders create bespoke botanically inspired cocktails, mocktails, and a range of spirits, wines and craft beers from the stunning emerald green terrazzo marble bar. Curio Collection is a global upper upscale portfolio of nearly 50 hotels and resorts handpicked for their unique character. Each embodies the distinct culture and spirit of the communities in which they reside and appeals to travellers seeking unexpected and authentic experiences, and the benefits of Hilton’s award-winning guest loyalty program, Hilton Honors.